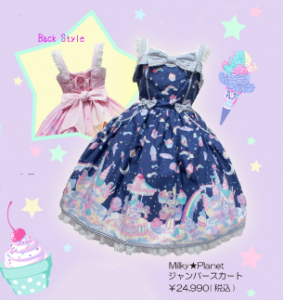 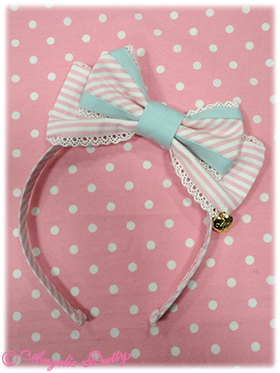 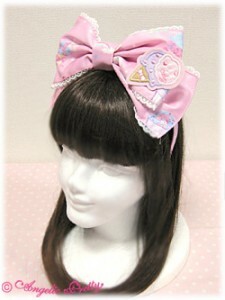 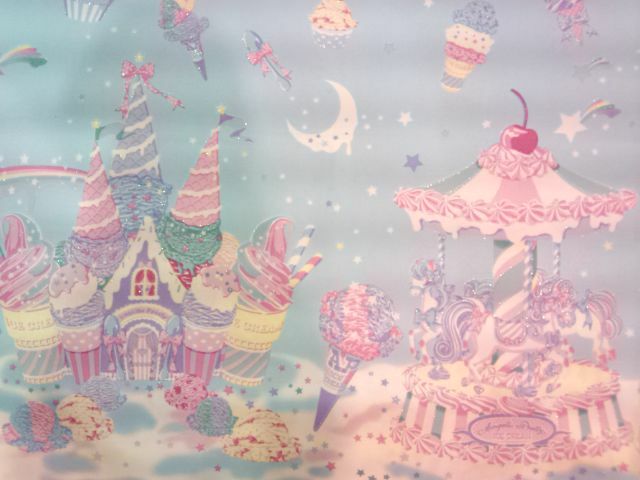 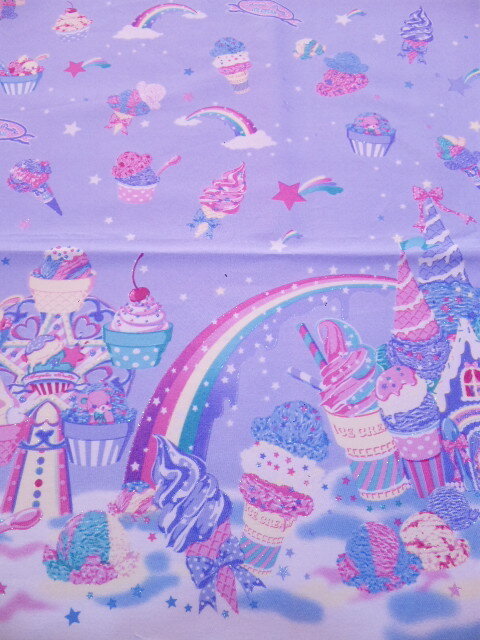 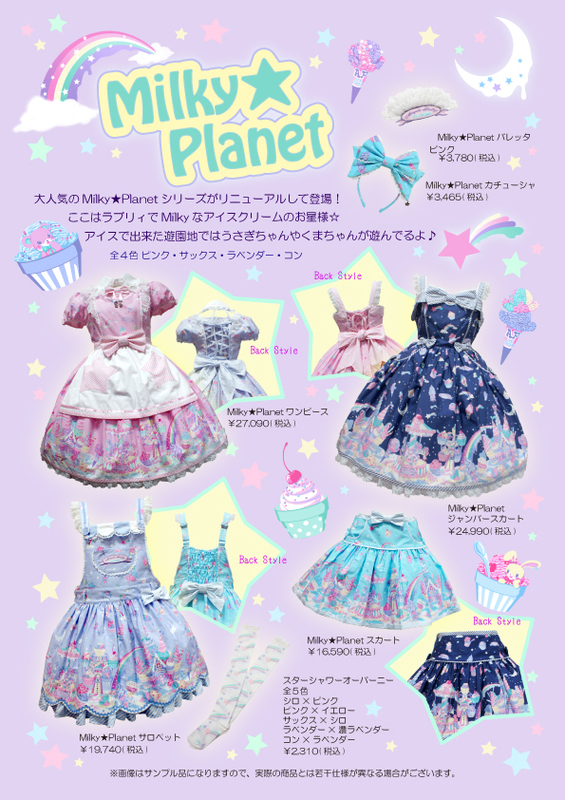 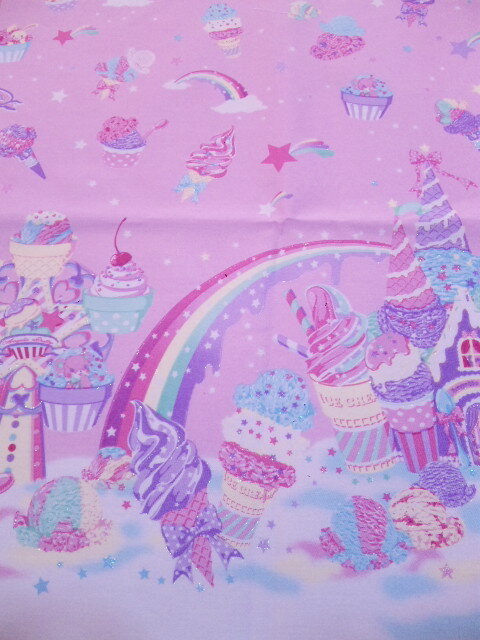 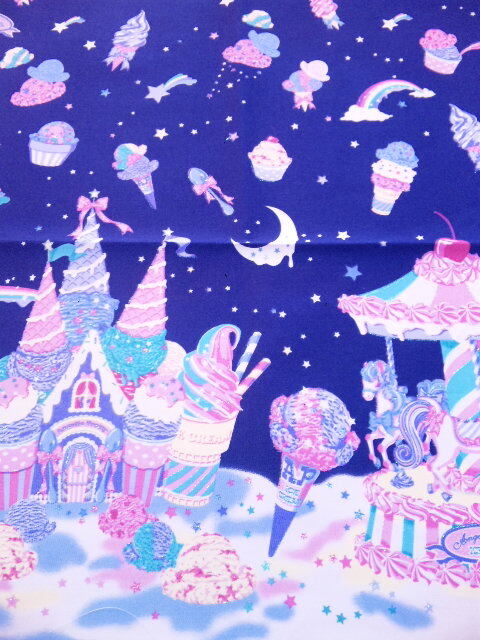 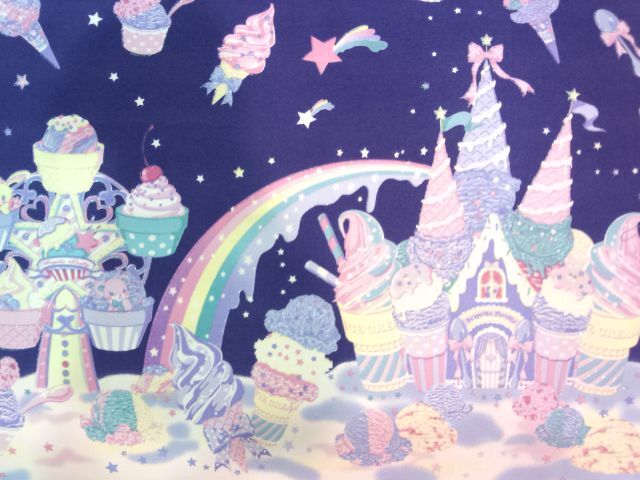 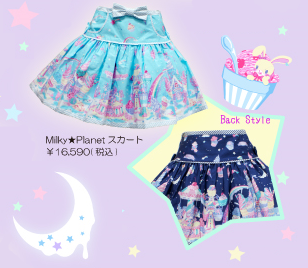 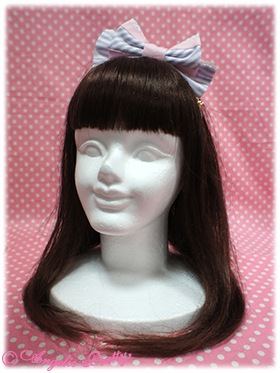 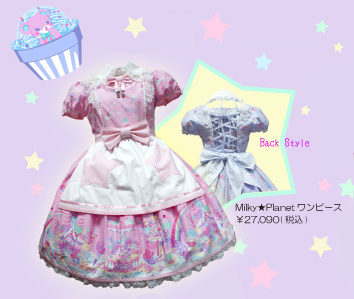 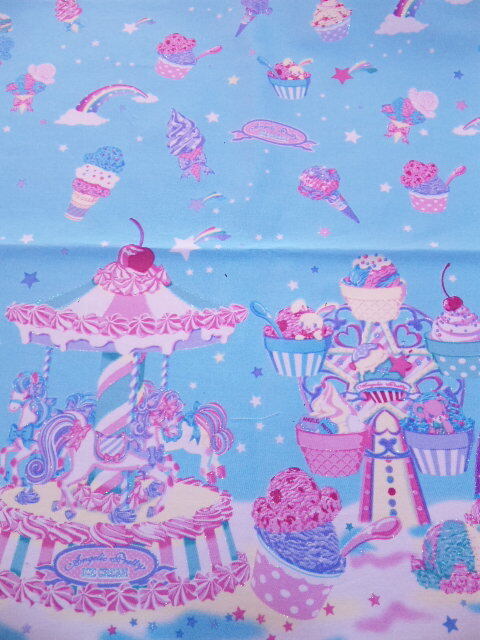 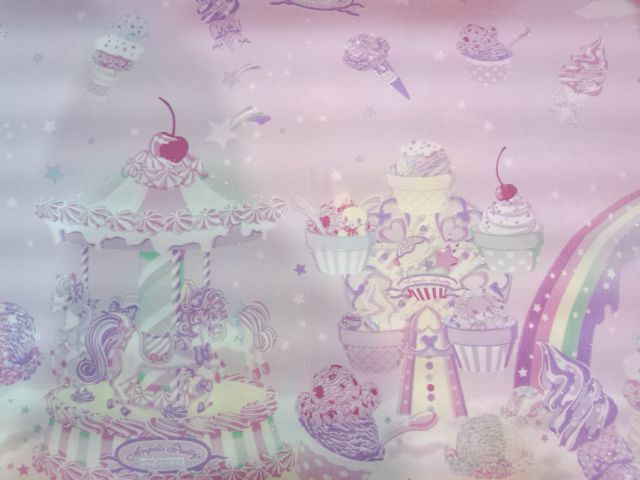 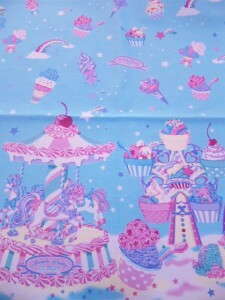 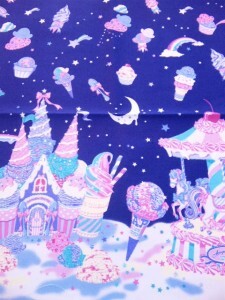 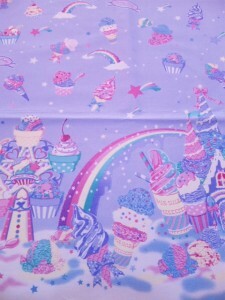 Angelic Pretty has just put up info about a re-release of their popular Milky Planet print. 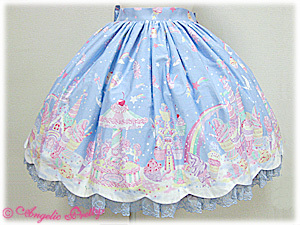 The re-release has an one piece with an apron, a jumperskirt, a salopette, a mini skirt, socks, a barrette and a headbow. 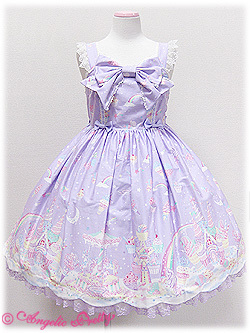 It comes in pink, sax, lavender and navy. 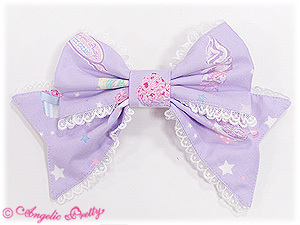 Release date is May 3rd. 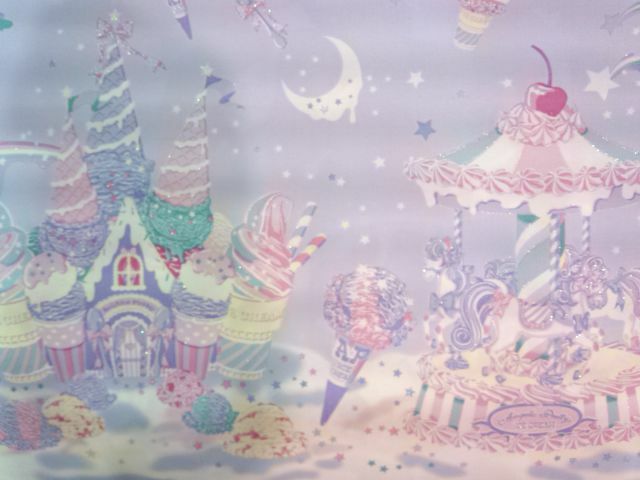 It looks like they have changed the design a lot. inn place of the solid fabric accents last tine, they have introduced stripes. 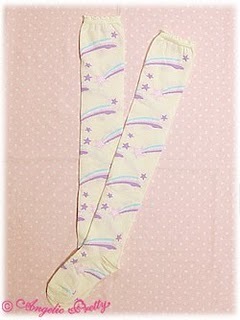 They also have brought in aprons and some rickrack. 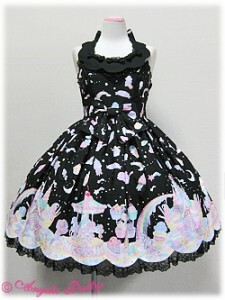 While I like the dark blue colorway more than the black from before, I’m somewhat skeptical about the look as a whole. 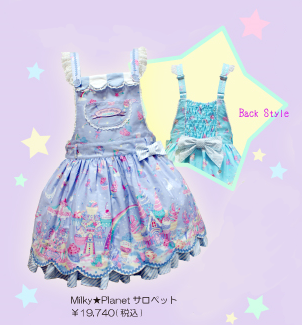 AP Yokohama has already posted their rules for the release, which I expect will be pretty much the same at all the shops. 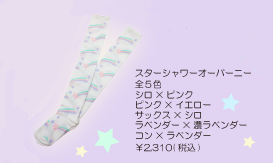 From the rule soup that google translate is spitting out at me, it sounds like their normal release lottery system, where everyone who is lined up will be given a random number 20 minutes before the store opens. 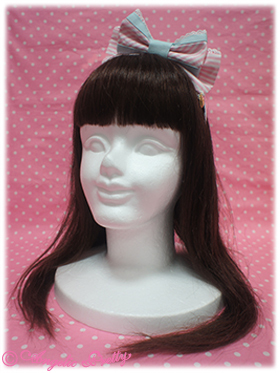 It’s hard to tell from the images, but it looks like it might be the same accent stripe as the Tokimeki Girl series. If so, the accessories from that series would match this as well (which basically looks like just this headbow, unfortunately). 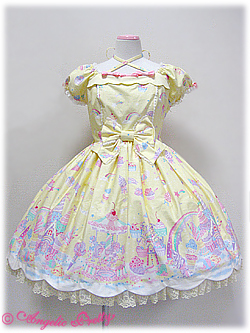 Just for reference, here is the first release (and the special set) Angelic Pretty put out with this print before. 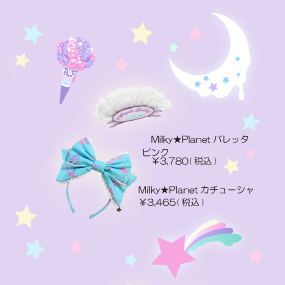 As you can see, it’s a much different over all feel from the new release.